As you probably have learned the hard way, most diets with their one-size-fits-all approach simply don’t work. You are an individual with individual nutritional needs. What works for one person most often doesn’t work for another, and yet most diet programs are based on this cookie-cutter principle. Diets based on buying prepared foods are expensive and don’t work either. Eventually, you run out of money and/or you simply get sick of eating frozen entrees or out of vacuum-sealed packages. Everyone starts eating real food again and then the weight comes right back on. That’s because knowing what and how to eat in the real world is a challenge for so many people and these programs provide very little if any real-world guidance. 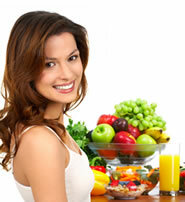 These diet programs simply don’t account for your individual nutritional or behavioral needs. They might weigh you weekly, but do they help you navigate your choices in restaurants, at parties or in the grocery store? Most diet programs simply don’t address one of the biggest issues related to weight loss: Identifying and addressing underlying emotional issues related to food and eating and they don’t help you change your self-defeating thought patterns. Diet and exercise won’t work unless you change your thoughts about food and eating. Are you ready to start living a healthier life? So what is the answer to losing weight and keeping it off? So stop tormenting yourself and don’t go it alone! I will provide you with a customized eating plan and the on-going education and support you need to finally get the weight off and keep it off forever. Customize a real-world eating plan–your Core Program–based on your personal preferences, nutritional needs, health issues, and lifestyle. Help you rethink your relationship with food and stop destructive black and white thinking using proven cognitive behavior techniques. Empower you to make smart choices without giving up the foods you love most. I have helped hundreds of people lose weight and keep it off–for good! I also help my clients identify food allergies and sensitivities which could be hindering weight loss efforts and improve worrisome medical conditions. I genuinely care about the people I work with. I have the references and client testimonials to prove it. * Results will vary based on the individual and your individually designed program.